Wise words, Po, wise words. Kung Fu Panda 1 and 2 have got to be among my favourite cartoons of all time. Po is simply hilarious. I remember watching the sequel in late May this year and I laughed nonstop in the cinema. The characters were adorable, the lines were witty and the storyline was plausible and heartwarming. There was also a twinge of sadness that kept me hooked. I teared at the scene when baby Po was put in a basket and sent down the river by his mother. Such a heartbreaking arc to the story. Then the scene where his dad Goose found him amid a bunch of vegetables made my heart melted. Baby Po looked so adorable! And when he grew up, Po in his own bumbling, awkward, innocent and yet awesome way, manages to win over everyone’s heart, including Tigress’. 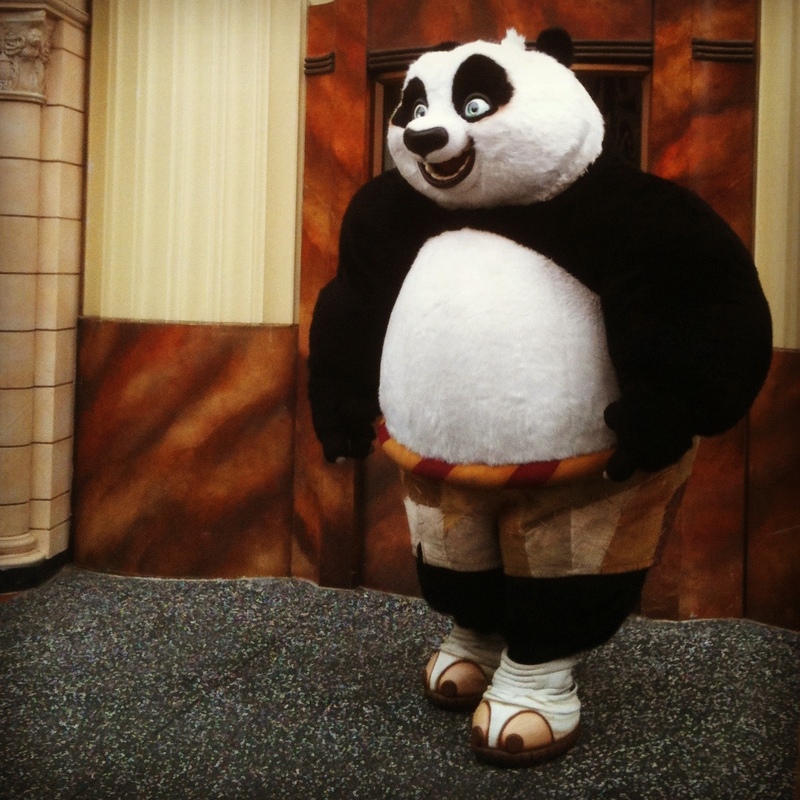 I feel that there’s a bit a lot of Po in me and I can totally relate to him. One of the best movies in 2011, I reckon.